The premium Medical WordPress theme is for all those serving in the medical science sector. It can be used by multi-speciality hospitals, small clinics, nursing homes, health care centres, therapy centres and physiotherapists. You can bend it to use for ambulance services and health advisory bloggers. It has a simple yet beautiful design to show your online presence effectively. You can extend its functionalities by using in-built as well as third party plugins. It has unlimited slides to give unique look to your entire site. This premium hospital WordPress theme uses simple and mega menu options for smooth navigation and implements shortcodes for clean and secure coding. 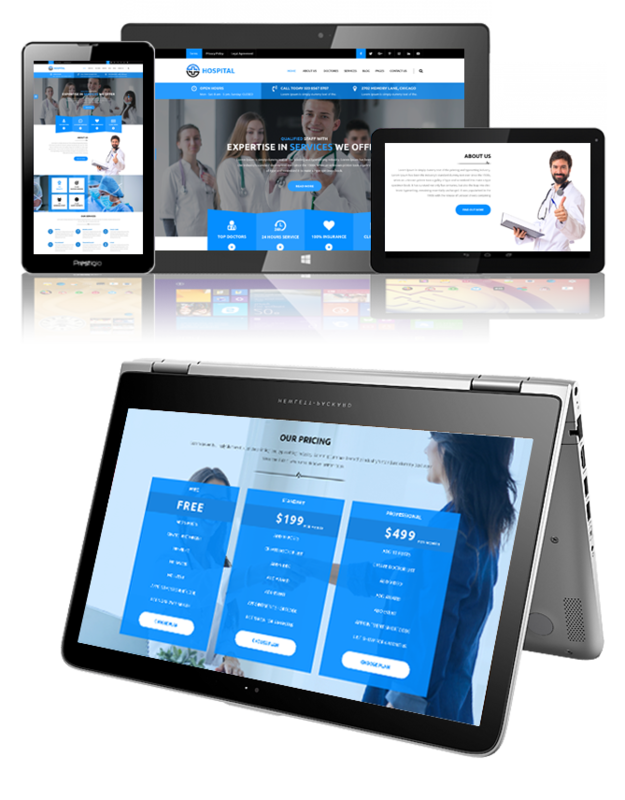 The premium Medical WordPress theme has a simple and clean design which is perfect for people belonging to the medical industry. It has user-friendly navigation. The colours and fonts used are soothing to eyes. Its minimalist design approach makes a hassle-free experience for people and makes them spend more time on your site. It is fully responsive, translation ready and SEO friendly. It has testimonial section to make your clients share their experience with you in this section. This premium hospital WordPress theme has option panel that lets you customize your site in just a few clicks. It has a gallery to showcase your philanthropic work and let them join you in it. You can enable/disable section according to your need. With so many features, this theme is worth your money.